If there’s one thing we believe in at Newsroom by the Bay, it’s the pedagogical and professional power of learning by doing — of allowing students to construct their own learning and to give them the tools and the freedom to choose what they want to write about and how they want to go about reporting it. Not surprisingly, our new field trips, which are aimed at opening opportunities for students to work on news and feature stories both on the Stanford campus and in surrounding cities, proved to be a hit with students this year. Trips to San Francisco and Silicon Valley gave students an opportunity to do reporting in the field, as well as meet editors and see how newsrooms work. NBTB students gather for a photo at a mural in San Francisco’s Tenderloin district, on the way to an editorial meeting at New America Media. 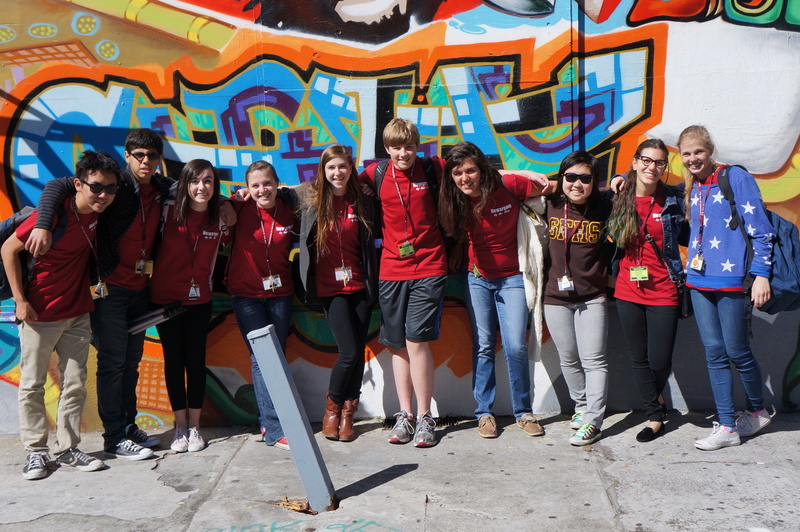 Students also visited the San Francisco Chronicle, the San Francisco Examiner and Yerba Buena Gardens. On Tuesday, June 26, the Year 2 advanced students pitched stories to Editor Jacob Simas at New America Media; toured the San Francisco Chronicle newsroom; held a question-and-answer session with John Diaz, the Chronicle’s editorial page editor, and Business Editor Kevin Keane; ate lunch in beautiful Yerba Buena Gardens; and learned about page one design and news photography from Art Director Brooke Robertson and News Editor Max Denike of the San Francisco Examiner. 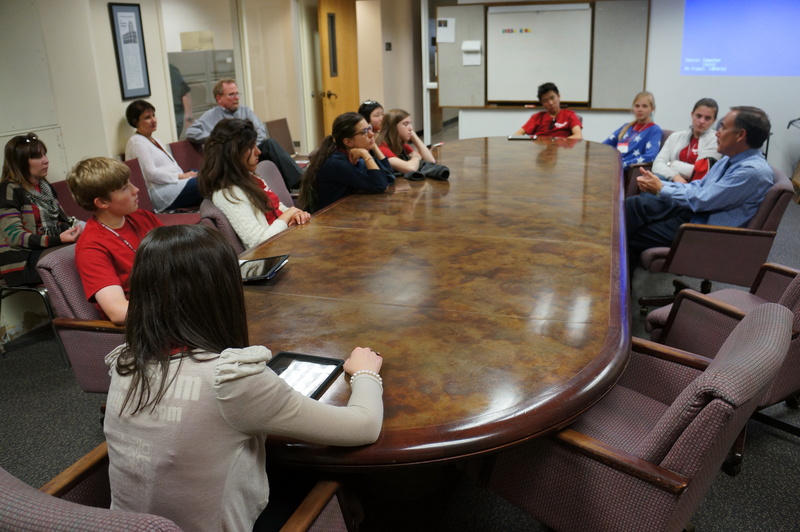 Students meet in the San Francisco Chronicle’s editorial conference room for a discussion with John Diaz, the paper’s editorial writer, and Business Editor Kevin Keane. Wednesday, June 27 saw a full court press by Newsroom’s Year 1 students, with five news teams heading out to Golden Gate Park and the California Academy of Sciences, Chinatown, the Asian Art Museum, San Francisco City Hall, Yerba Buena Gardens, North Beach, the Haight Ashbury, Fisherman’s Wharf, the Embarcadero, and the Musee Mechanique, an unusual collection of antique historical video games. Students met in teams for two days to map out their expeditions and to develop a plan for reporting and capturing photos, videos and audio. 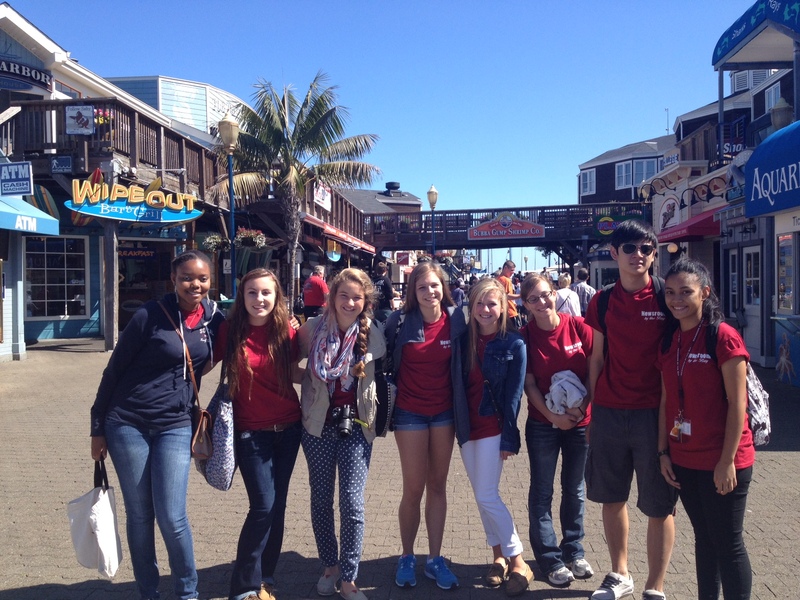 Year 1 students in team leader Leah Yeung’s news group began their trip to San Francisco’s waterfront with a stop at Pier 39. Later in the day came a visit to the Musee Mechanique and its collection of antique arcade games. Sometimes the most impromptu and unexpected events proved to be the most exciting: Students who were in downtown San Francisco witnessed a Bloomberg news crew filming a story about skydivers dropping onto the roof of San Francisco’s Moscone Center, wearing Google’s new “Glasses” goggles, which combine computer-processing power, a camera, microphone, wireless access and a small screen into a set of easy-to-wear glasses. On Thursday, Year 2 students sat in on a regional editors meeting at Palo Alto Patch, and toured the iconic AOL building in downtown Palo Alto. Students ogled the ping pong tables and playful architecture, and engaged in a vigorous give-and-take session with award-winning Patch editor Aaron Selverston. 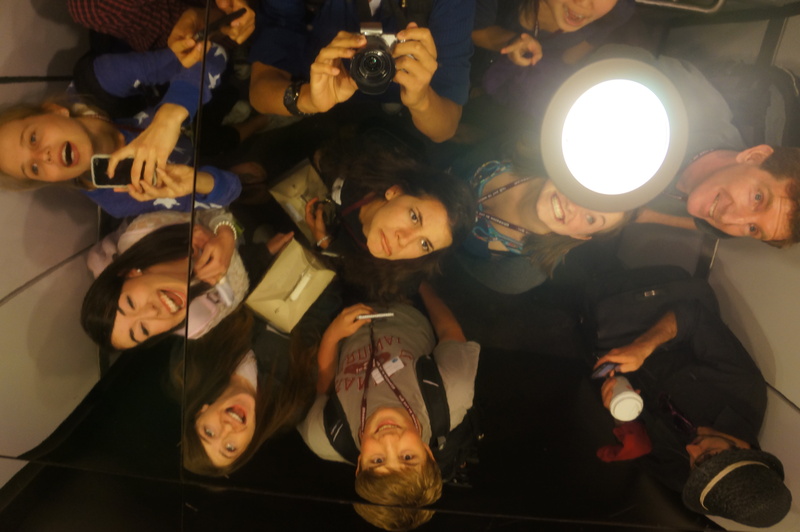 A visit to the AOL building in Palo Alto gave students a shot at taking photos in unusual places and playful spaces. “Students didn’t quite come up with a solution to the impending collapse of the newspaper industry, but they gave it a good shot,” said NBTB Co-Director Paul Kandell.